Pezrok is the ONLY gallery representing the Freeds' unique, carved driftwood art. Directions: From Tallulah Falls, take U.S. 23-441 north for 3 mile, to Rabun Beach Recreation Area and turn left on Old 441. Go 2.5 mile. and turn left on Lake Rabun Road. Go 1 mile. 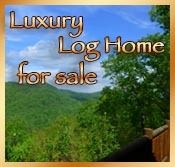 past the Recreation Area and turn left on Low Gap Road (look for Flat Creek Community sign.) Follow Bear Gap Road (which forks to the left,) 1.5 mile. to trail on right side of road. Panther Creek Falls Trail is 5.5 mile. in length and runs along Panther Creek over steep, rocky bluffs of the creek. 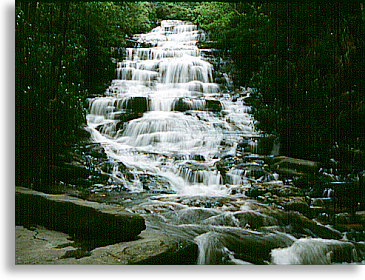 After passing several cascades you'll come to Panther Creek Falls. The trail ends where Panther Creek merges with Davidson Creek. Trout fishers enjoy the stream while Hikers should be cautious of rocky overhangs. Directions: Take U.S. 23-441 north from Clarkesville for 10 miles to the Panther Creek Recreation Area. The western end of the trail starts across the highway from the recreation area. The eastern end of the trail is accessible by driving west on Yonah Dam Road.